An instant New York Times and Globe and Mail bestseller. Look out for Shari Lapena's next thriller, A Stranger in the House, coming August 2017. 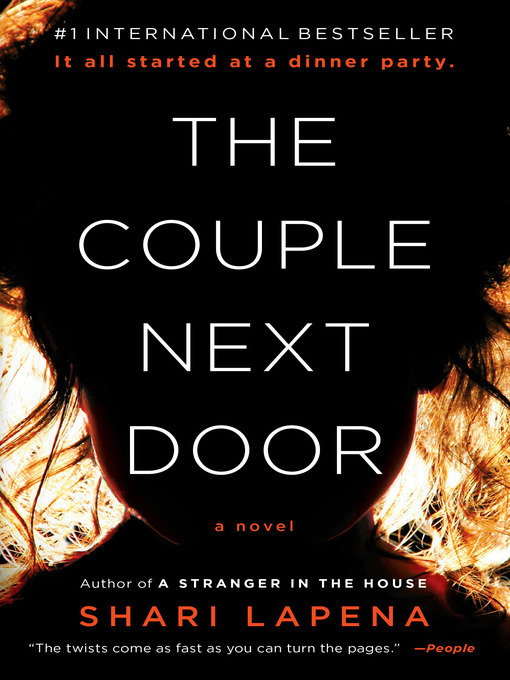 A domestic suspense debut about a young couple and their apparently friendly neighbors—a twisty, rollercoaster ride of lies, betrayal and the secrets between husbands and wives. . . .
Anne and Marco Conti seem to have it all—a loving relationship, a wonderful home and their beautiful baby, Cora. But one night when they are at a dinner party next door, a terrible crime is committed. Suspicion immediately focuses on the parents. But the truth is a much more complicated story. What follows is the nerve-racking unraveling of a family—a chilling tale of deception, duplicityand unfaithfulness that will keep you breathless until the final shocking twist.